When giving a presentation or a speech, what you leave out is as important as what you keep in. Resist the urge to talk for an hour and walk us through 1,600 words on 40 PowerPoint slides. We can only absorb so much. Tell us everything and we’ll remember nothing. Author and communications coach Carmine Gallo tells CEOs and business professionals to stick to the Goldilocks zone when they stand and deliver. Don’t talk for too long or too short. A talk of 18 minutes is just right to inform, inspire and persuade your audience. That’s the magic number for TED Talks, the technology, entertainment and design presentations made by the world’s leading innovators and thinkers and watched more than a billion times online. Consider that President Kennedy’s inaugural speech clocked in at 1,355 words and 15 minutes while his “go to the moon” speech was just shy of 18 minutes. Deliver jaw-dropping moments. 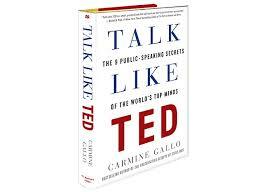 Do or say something unexpected and emotionally charged that’ll leave us talking about your talk. Lighten up. Just like we crave novelty, our brains love humour. Give us something to smile about. But please skip the badly delivered, unfunny and off-colour jokes. You’re not a stand-up comedian. Paint a mental picture with multisensory experiences. “Deliver presentations with components that touch more than one of the senses: sight, sound, touch, taste and smell.” And if you’re using PowerPoint, put one word or an image on a handful of slides. Stay in your lane. Never try to be something or someone you’re not. Most of us can spot a phoney and you’ll lose our trust. Leave your own mark and you’ll make a lasting impression. It doesn’t matter if you’re talking to 20 people in a boardroom or 1,000 people in an auditorium. Know that most of us have watched at least one TED Talk and we’re measuring you against speakers whose presentations have been watched millions of times. Sorry to disappoint but there’s no such thing as a dream job. It doesn’t matter how much you make or what it says on your business card. You’re not living the dream if you’re doing a job. If you’re not writing your own paycheque, you’re making someone else’s dream a reality. From the first to our last day of school, most of us are conditioned to believe our personal value rests on what we can do for someone else, says author and entrepreneur Ben Arment. We hit the books and study hard to get a good job rather than create jobs. “No one ever asks you what you can bring to the world but whether you can fill a position,” says Arment. According to Arment, a job interview is all about convincing an employer that your square peg of talent fits into their round hole of a position. So what if you don’t know or can’t remember what you were born to do? Dreams have a history, says Arment who runs a coaching business that helps people rediscover their gifts and passions. Maybe you were the entrepreunerial kid who cut lawns in the summer and shoveled driveways in the winter. You were the budding artist who plastered the family refrigerator with art. You were the performer who shone on the stage or the director in the wings who made the show happen. You were the fledgling activist who donated your birthday money, joined the annual park clean-up and started a social justice club at school. Discovering your dream is about finding your sweet spot, where passion, demand, platform and giftedness converge. With no passion, you’ll run out of steam. With no demand, there’s no one to buy what you’re selling. With no platform, you can’t build an audience. And with no giftedness, what you’re selling won’t be worth buying. Having an idea is only step one, says Arment. Everyone has ideas and many people will have the exact same idea as you. You also need a financial model. A dream that doesn’t make money is a hobby. A dream that fails to bring in enough revenues to cover expenses quickly becomes a nightmare. 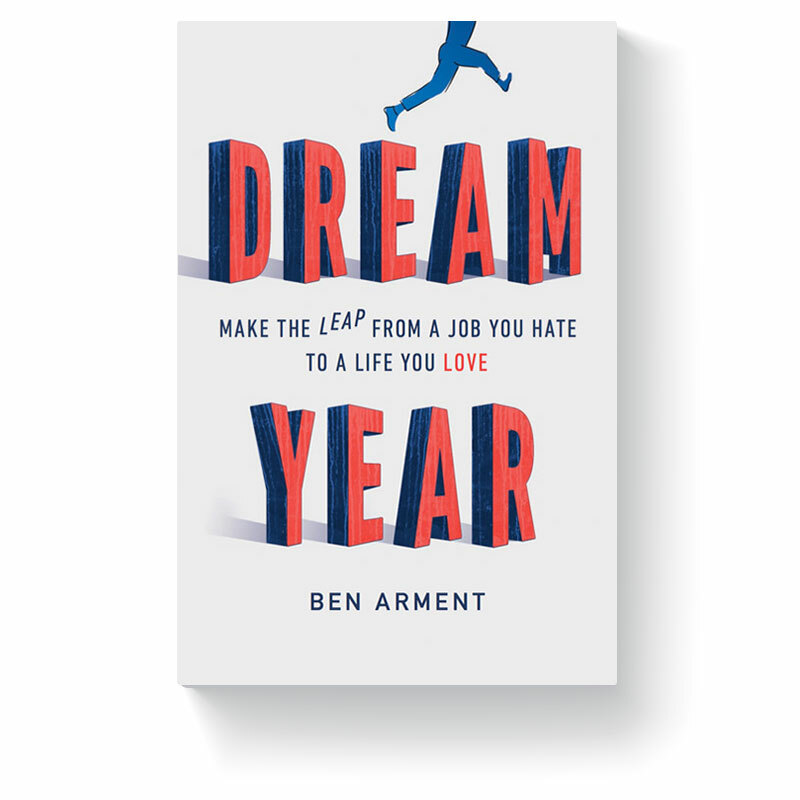 Dream Year is a must read if you’re thinking of opening a store on James North, a restaurant on Locke, a consulting business for local nonprofits or dreaming of hitting the speakers’ circuit and writing the next great Canadian novel. Arment will show how to rediscover your dream and do the heavy lifting required to make your big idea a reality within a year.